Cepstral Community • View topic - Katrin pronunciation of "Ich sollte weggehen"
Katrin pronunciation of "Ich sollte weggehen"
Please can you check Katrin's pronunciation of "Ich sollte weggehen" and advise me if it is correct? swift.exe -n Katrin "Ich sollte weggehen"
I have also checked on the web site (http://www.cepstral.com/en/Demos) and it also sounds to me incorrectly pronounced (Katrin saying "Ich sollte weggehen" on Demos web site). swift.exe -n Katrin "Ich sollte weg"
swift.exe -n Katrin "Ich soll weggehen"
swift.exe -n Matthias "Ich sollte weggehen"
Re: Katrin pronunciation of "Ich sollte weggehen"
We replied to your ticket on this issue, but I'm also posting the response here in case it is helpful to anyone else. I synthesized "Ich sollte weggehen" in both the Katrin and the Matthias voices on our demo page. The only substantial difference I found was that the final unit in "sollte" //z ao1 l. t ah0// is pronounced in a more elongated manner. Could you verify that the pronunciation you expect would be as follows? 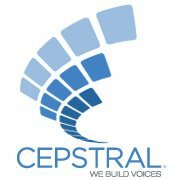 Please refer to http://www.cepstral.com/en/tutorials/vi ... mes-german for the phoneme set. If the only problem is the elongation of the /ah0/, thank you for bringing this to our attention, and it will be fixed in a future release. If there is more to this issue, please let me know.